Well, I’m off to a wedding this weekend. A wedding for my dear friend, Kate. Okay, okay. I may not be whisking off to England, but rather, the royal utopia of Kansas City for my brother-in-law’s wedding this weekend to his lovely bride Kate. With all of this royal wedding buzz in the air, I had to dote on one of my favorite topics, weddings! 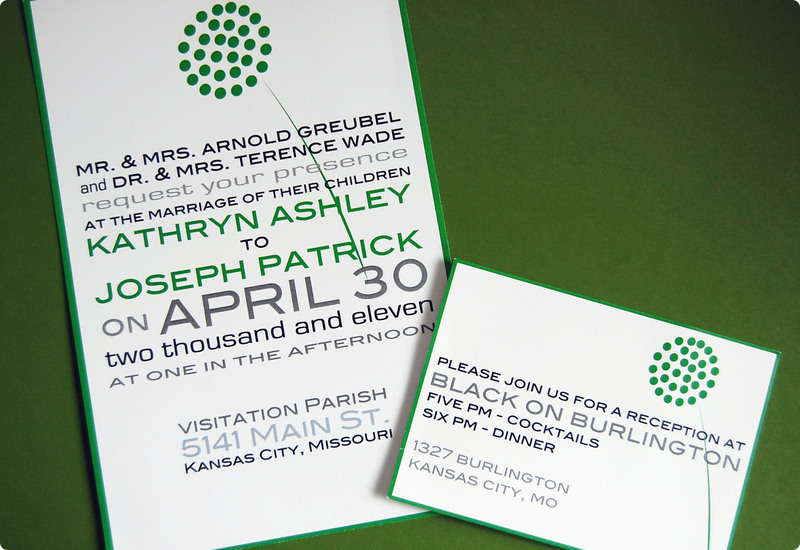 Joe and Kate asked me to help design their invitations for their chic spring wedding. I was more than happy to oblige and wanted to share the final results with you. (The invitation is available in my Etsy Shop, Morning Star Designs). I’m so excited to attend and be a bridesmaid for this fabulous occasion! 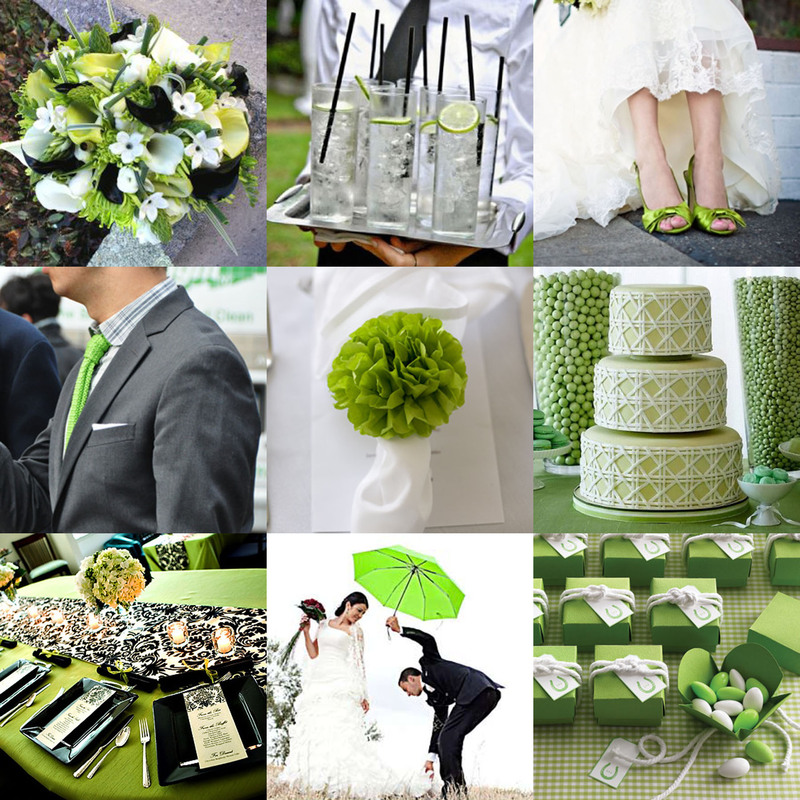 I’m looking forward to all the wonderful details, but for now, I put together my own green and black modern wedding inspiration board. I’m sure Kate and Prince Wills will have nothing on this wedding. Who needs a glass carriage anyway? An early congrats to the bride and groom! What would be your perfect royal wedding? If anyone is throwing a royal wedding viewing party, we’d love to hear about it! Like what you see? Want it!? 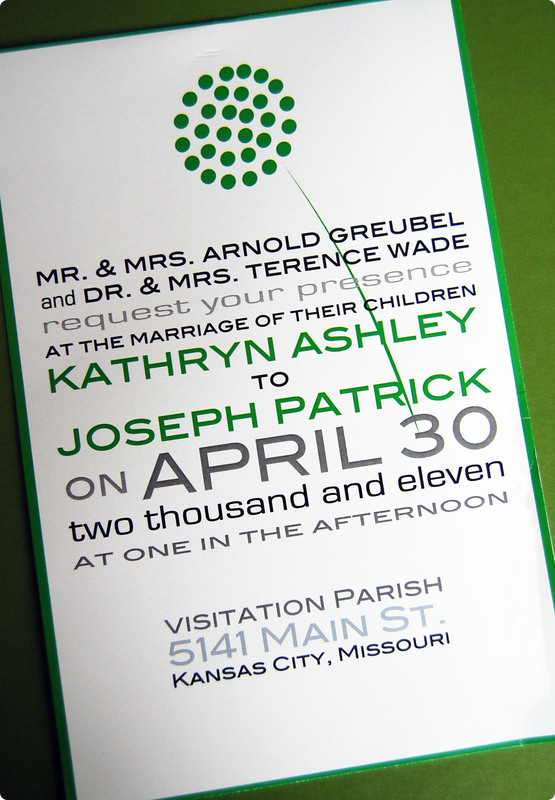 Visit my Etsy shop, Morning Star Designs, to purchase your own personalized downloadable file of this invite. Glad you are enjoying it! The actual wedding was beautiful and filled with fun DIY projects. I’m hoping to post it sometime in the next month or so!